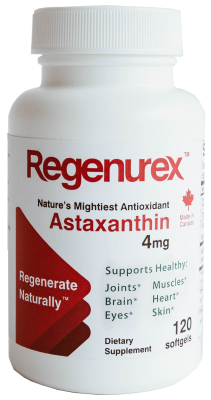 CleanGoal Energy Corporation distributes a rare anti-aging product called Regenurex made from Astaxanthin an antioxidant that offers many benefits including the effective treatment for all types of tendon, joint and muscle pain, and arthritis. Astaxanthin is a naturally occurring dark red carotenoid found in nature primarily in aquatic animals such as salmon, trout, krill, shrimp, crayfish, and crustaceans. And it is more than just a red pigment, it is one of the most powerful lipophilic antioxidants yet discovered. Astaxanthin is found in microalgae, yeast, salmon, trout, krill, shrimp, crayfish, crustaceans, the feathers of some birds and can also be produced chemically using petroleum products or paffia yeast. It provides the red color of salmon meat and cooked shellfish; it is present in salmon and shellfish due to their ingestion of microalgae containing Astaxanthin. It has the unique capacity to quench free radicals and reactive species of oxygen and to inhibit lipid peroxidation. Studies have shown natural astaxanthin to be over 500 times stronger than vitamin E and much more potent than other carotenoids such as lutein, lycopene and β-carotene. Moreover, Astaxanthin a xanthophyll carotenoid, is a nutrient with a unique molecule structure, it does not convert to vitamin a (retinol) and has no “pro-oxidant” activity. 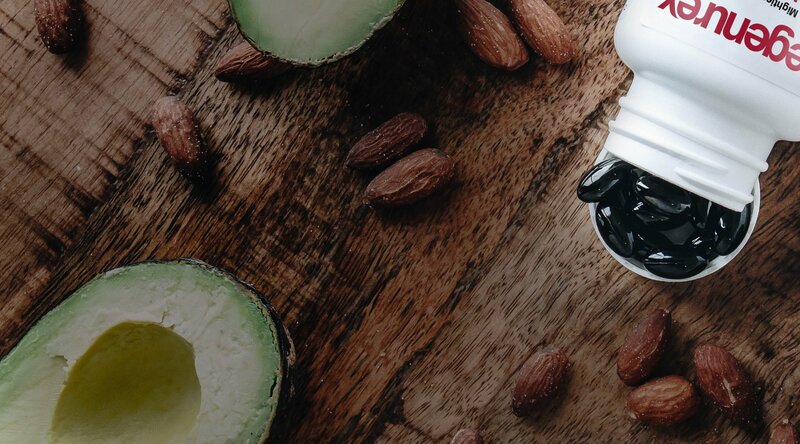 Our product is also a great nutritional supplement for beautiful skin, and it offers unique and powerful benefits for your eyesight. Furthermore is is favorite supplement of endurance athletes for its ability to help your body generate energy and reduce lactic acid buildup that depletes you of your stamina. Regenurex repairs the damage caused by oxidation and surrounds your body’s cells with a protective layer. It is produced by gently drawing out algae’s oil with a natural process, without adding any chemicals.